A graduate of the Master’s program will acquire competences for the interdisciplinary research and practical skills for implementation of innovative projects within various public and private sector organizations. This unique and interdisciplinary program is developed with support of the European University at St. Petersburg and the Maastricht University (the Netherlands), which is suitable for graduates of different fields: humanities, engineering, natural science, management in the field of science, innovation, and health. The program also suits managers and residents of innovative institutions, innovators, and technology entrepreneurs. The aim of the program is to prepare highly qualified and competitive specialists, who can explore, manage, and support the application of scientific and technological developments in the innovation process with understanding of the complexity of social processes. Students will gain experience in the social innovation research, analysis of interaction and mutual influence of innovation and society, based on real case studies and data management. Also, they will be able to develop skills in the interdisciplinary research, data collection and analysis, and to work with databases, including patents. Lecturers of the program are representatives of the new generation of researchers. These are lecturers, who have degrees of Doctors / Candidates of Science in Sociology, Political Science, or Philosophy (Ph.D.) or Ph.D. and an international academic and research experience, which were gained in foreign universities: the London School of Economics and Political Science, the University of Michigan, the University of Helsinki, the University of J. Washington, and the University of California at Berkeley. Visiting professors are those from the leading universities of Russia and the world and give lectures in Russian and English. This program is suitable for training a wide range of students: graduate students, young scientists of various scientific areas (fundamental and applied sciences, engineering and humanities, and medicine) and specialists from different spheres, such as management (in public health and innovative institutes), innovative production, and R&D in private companies. This Master’s program trains specialists, which are in demand in accordance with the current technological development. Graduates of this program are specialists with applied and theoretical knowledge and expert and analytical skills, based on understanding of the current tendencies of development of innovations and society. The program forms a range of loyal companies and professional communities, which will become expert consultants for the program and its end consumers. This will be done by allocating projects to implement to the students and recruiting graduates of the program, who will prove themselves while working on the projects. 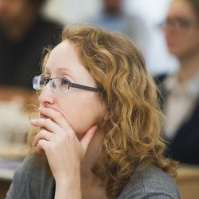 The program includes original author courses, which have no analogues in Russia, and consists of two specializations. PhD, Associate Professor of the Department of Political Science, National Research Tomsk State University. Evgeniya completed her graduate studies at the European University at St. Petersburg. In 2003, she defended her thesis in Political Science (Moscow, Moscow State Institute of International Relations). She received training at the University of Michigan (Ann Arbor, Center for Political Studies, 2008-2009) and the London School of Economics and Political Science (UK). Evgeniya participated in research projects, including as a lead researcher, supported by the following organizations: the Human Resources Federal Target Program, the Fund of Infrastructure and Educational Programs at OJSC RUSNANO, RVC, National Research University Higher School of Economics (HSE), Interregional Studies in the Social Sciences, the Academy of Finland, ACLS, and the Ford and Carnegie Foundations. Laureate of the Tomsk region award in Science, Culture, and Education. She twice won the competition of Russian Associations of Political Science. Ivan is a Research Fellow at REC PAST-Centre, National Research Tomsk State University, Associate Professor of the Department of Institutional and Applied Sociology, University of Plovdiv, and Senior Research Fellow at Technology Studies Group, Institute of Studying Societies and Knowledge, Bulgarian Academy of Sciences. Between 1999 and 2003, he was elected as the President of Bulgarian Sociological Association. He got M.A. in Sociology at the University of Sofia (1984) and PhD at the Institute of Sociology, Bulgarian Academy of Sciences (1988). He was collaborating with prof. Karin Knorr-Cetina to conduct research in ethnographic studies of the scientific and engineering practice at optical labs of Bulgaria and Germany. Since the middle of 1990s, he has also extensively studied the transformation of the research and innovation systems in post-socialist countries and has been focuses on science and technology development in South-Eastern Europe after WWII. 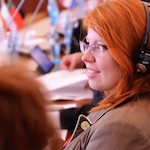 Olga is a Research Fellow at the REC PAST-Centre, National Research Tomsk State University. She is a Candidate of Science in History (PhD). In 2014, she defended the thesis “The Evolution of Indian Scientific, Technological and Innovative Policy in 1991-2013”. She studies grassroot innovations in BRICS countries and public policy in inclusive innovations of these countries. She is the Leader of projects connected with providing the scientific, technological, and educational collaboration between Russia and India and curator of the Indian public program “Global Academic Initiative” in Russia. 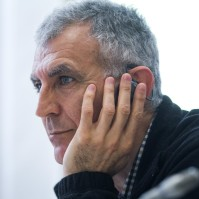 He is a Senior Researcher at the REC PAST-Centre, National Research Tomsk State University and Associate Professor of the Department of Sociology at Volgograd State University. He is the author of scientific and educational project “ANThology: Introduction to the Actor-network theory”. He translates Bruno Latour’s and Dirk Bekker’s texts. He currently works as the co-author of the book New Technologies and “Old” People: Users of a Personal Computer of the Third Age. 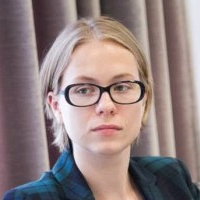 Olga is a Research Fellow at the REC PAST-Centre, National Research Tomsk State University. She received a PhD from the University of Maastricht, the Netherlands, defending her thesis on pharmaceutical innovations. Earlier at the same university, she graduated from the Master’s program in Global Health. In her work, she studies processes and dynamics of innovations in (bio)medicine. Olga actively participates in international and interdisciplinary projects in the field of Public Health and Control of Infectious Diseases. She is the Deputy Head of the international educational project Education Capacity Building in the Eastern European Neighboring Areas: Health, Innovations and Societies / Development of Education in Eastern Europe: Health, Innovation and Society. Dmitry is a Senior Researcher at the REC PAST-Centre, National Research Tomsk State University. He is the Doctor of Philosophy and Associate Professor of the Department of Humanitarian Problems of Informatics of the Faculty of Philosophy at the Lobachevsky State University of Nizhny Novgorod. 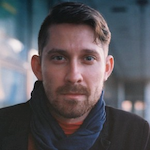 Dmitry graduated from the Faculty of Philosophy, Tomsk State University, where in 2002 he defended his thesis in Virtualization of Experience in the Culture of Postmodern: Metamorphosis of the Discursive Landscape. He is engaged in research of cultural dynamics in the context of development of modern technologies. 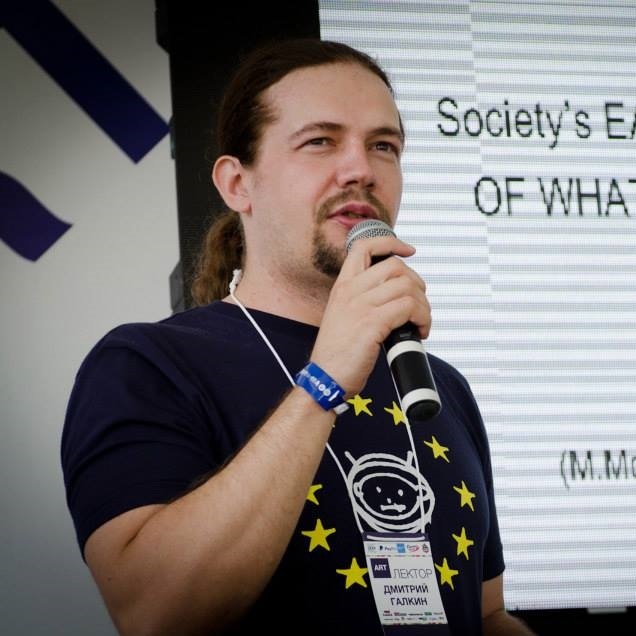 He has implemented a number of research projects, including the Methodology of Cultural Policy (University of Washington, USA), Techno-Art Hybridization: Art, Science and Technology (INTAS YSF, Lancaster University, UK), and Artificial Intelligence in Social Robotics (University of California, Berkeley, USA). In 2013, he defended his Doctor thesis on philosophical and methodological aspects of artificial life, called From Cybernetic Machines to Artificial Life: Theoretical and Historical and Cultural Aspects of the Formation of Digital Culture. Exam questions can be found here. 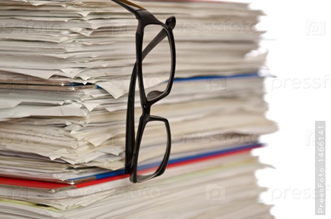 In preparing the answer at the exam, you can use printed and electronic materials (abstracts, a personal computer with Internet access, and others). Entrance examinations may be conducted remotely. Admission to Master’s programs takes place on September 1 of each year. The form of education is full-time, it is possible to form an individual educational trajectory.